Every Gourmet Basket purchased is backed by our 100% money back happiness guarantee. Over 100,000 gifts shipped, since 1998. Add Something Delicious – Save up 30%! Add Something Special- Save up 30%! Encourage him to rest and relax in style on his road to recovery! The Gift Concierge is standing by ready to answer any questions you have on this gift hamper. 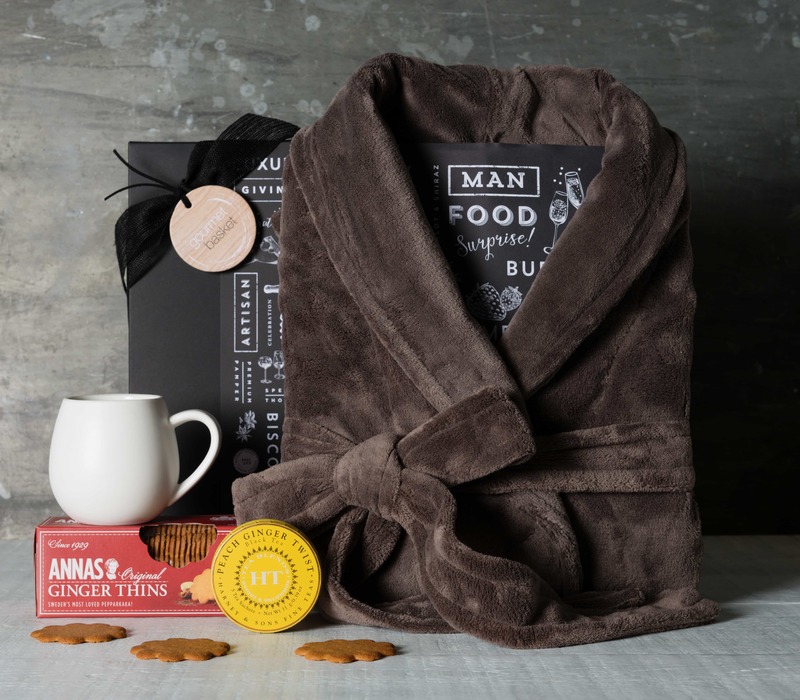 Call us on 1300 354 393 to customise this hamper or place your order over the phone. Or click here to send us an email enquiry. The cost per delivery and estimated delivery timeline is outlined in the table below. By entering a Postcode on the Cart page, the available options below will be displayed. Click and Collect No Charge Orders placed before 2.00pm on any business day may be collected from our offices between 10.00am and 5.00pm Monday to Friday in Belrose, NSW 2085. For more information, please click here. Sydney Metro Same Day Express $24.95 Available to selected Sydney metro postcodes – click here for list. Only available prior to 10.45am AEST on business days. Deliveries are scheduled to arrive from 1pm to 6pm the same business day. If no-one is home, a re-delivery attempt will be made between 1pm and 6pm the following business day, and if that fails the gift will be returned to us. Orders placed on weekends will be delivered the following business day. A new delivery fee will apply for 2nd deliveries, due to no-one receiving the gift, or wrong addresses provided. Special delivery arrangements can be made for orders placed after 10.45am, using an express courier, but additional fees will apply. Please call 1300 120 451 for details. Sydney Metro Standard Courier $13.95 Orders placed before 4.30pm will be delivered the next business day or later as chosen. 9kg+: $24.95 Order placed by 4.30pm will be delivered the next business day delivery to most locations. For heavy hampers with 2 or more bottles of wine to country NSW delivery may take 2-3 days. 9kg+: $29.95 Orders placed by 4.30pm and will be delivered within 1-2 business days for most locations via Air Express.For large hampers with 2 or more bottles of wine, the freight is heavier and will take 3-5 days. For remote locations delivery can take up to 3-5 business days. Sydney Special Postcodes – Beginning with “1” $22.95 Orders placed before 4.30pm will be delivered the next business day or later as chosen. 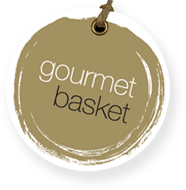 Gourmet Basket will use its nominated courier and all delivery times are estimates only. Deliveries are made during normal business hours, being 9am – 5pm on weekdays. All parcels are bar-coded and able to be traced, to ensure safe delivery. However, all parcels are not real-time trackable, they are only traceable in the event they go missing. Once your order has been distributed Gourmet Basket’s nominated carrier it becomes their responsibility. Gourmet Basket are not liable and/or responsible for any delays and/or lost and/or stolen orders in transit. As our gifts contain perishable items, and often need to be in the hands of the receiver on a specific date, if a recipient is not available to take delivery, gifts will be left in a safe place, as determined by Gourmet Basket, on the premises. By ordering a gift, you acknowledge our authority-to-leave. If a gift is not able to be found on the premises, and Gourmet Basket can provide evidence of delivery from the courier, then unfortunately this will not entitle the purchaser to a refund or replacement, as the gift has been delivered. If a parcel is deemed unsafe to leave by the courier, a card will be left, and the parcel taken to the local Australia Post shop, ready for collection by you. We package all gift baskets in strong boxes so that items stay safe and arrive undamaged. Please note that a re-delivery fee will need to be charged if an incorrect address is given. Please ensure the delivery address you provide is correct, before placing your order. Parcels that are successfully delivered, when an incorrect address is provided, are not eligible for refunds. If delivering to a hospital, please ensure the patient will still be there within the delivery time-frame above. It is your responsibility to inform Gourmet Basket if an order has not arrived. We will then trace and locate the order. Gourmet Basket uses its nominated carrier for delivery of gift baskets by the date requested. However, any delivery timeframes are an estimate only and you acknowledge and agree that delivery within the estimated timeframe is not always possible due to unforeseen circumstances. At this stage, we do not deliver outside of Australia. For any further questions on shipping, please email service@gourmetbasket.com.au. Big thank you Gourmet Basket Team. I ordered my 3 hampers yesterday, they arrived today. Thanks for the amazing customer service & prompt delivery – Oh my beautiful Hampers... very happy once again! I've been using Gourmet Basket for some time now and I've found their products & customer service to be absolutely phenomenal. Thank you! I was lucky enough to receive the Golden Indulgence hamper as a gift and it was absolutely beautiful. Highly recommend! Fantastic service and products - very happy customer!